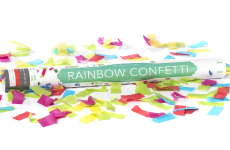 A presentation with our Birthday Cake / Bottle Top Sparklers is a showstopper! Everyone will be talking about your party or event after seeing these! Our Birthday Cake / Bottle Top sparkler dimensions are roughly 4” long and .5” thick. When lit, the sparklers burn for generally 30 seconds, with a 10” sparkling near smokeless flame. 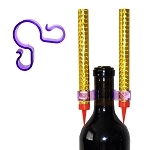 These smaller Birthday Cake / Bottle Top Sparklers are fun and safe for any birthday cake or other food items. 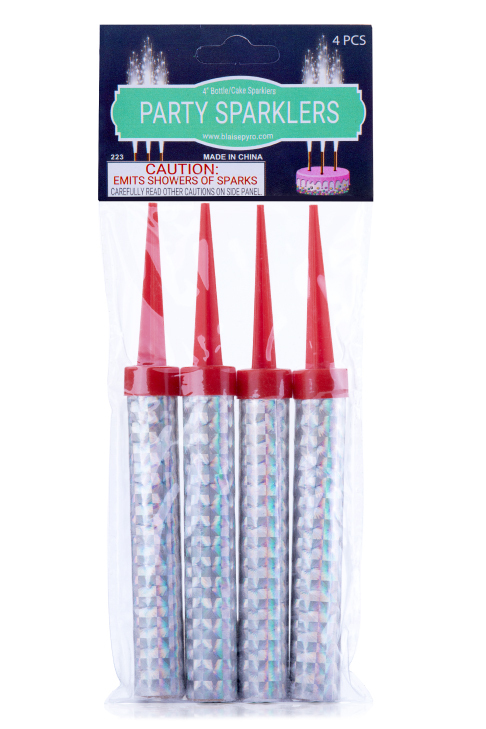 Our Birthday Cake / Bottle Top Sparklers also come with a 1” long plastic spike at the bottom of the sparkler to safely secure the sparkler into a cake or food product that you may be using. For bottle service, use one of our Bottle Service Clips! 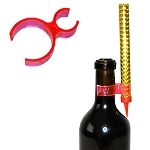 All you do is clasp the plastic clip onto the neck of the champagne or wine bottle. 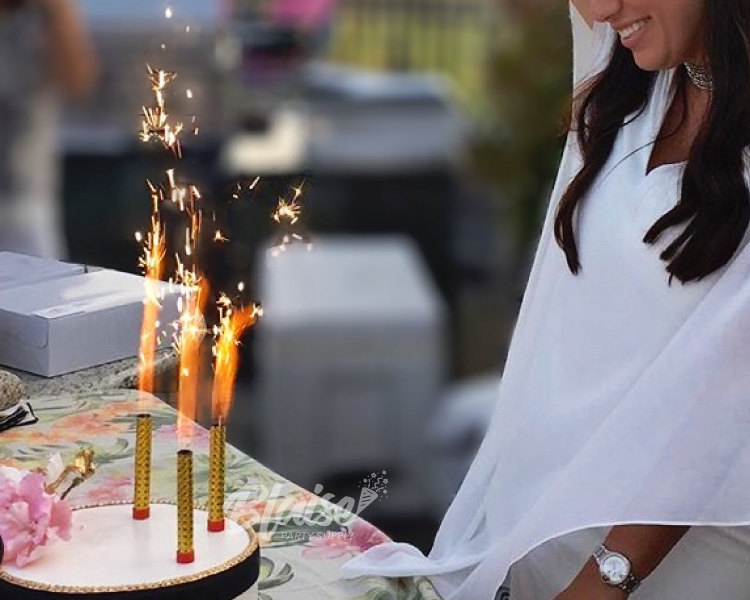 Then attach the Birthday Cake / Bottle Top Sparkler to the clip and light the flat, white top of the sparkler with a lighter. To stay safe, make sure when lighting the sparkler point the top of the bottle a way from people or flammable items. These Birthday Cake / Bottle Top Sparklers come in packs of 4. These are recommended for outdoor use.